Captain of the Year News: 2015 International Division Captain of the Year Russel Sinclair of the current 61′ Garlington Wave Paver is awaiting the new 77′ Bayliss. 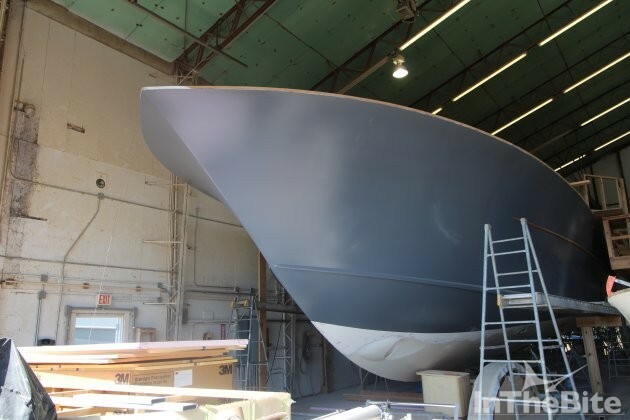 In Keeping up with our Captain of the Year News here is an update on the latest build photos. 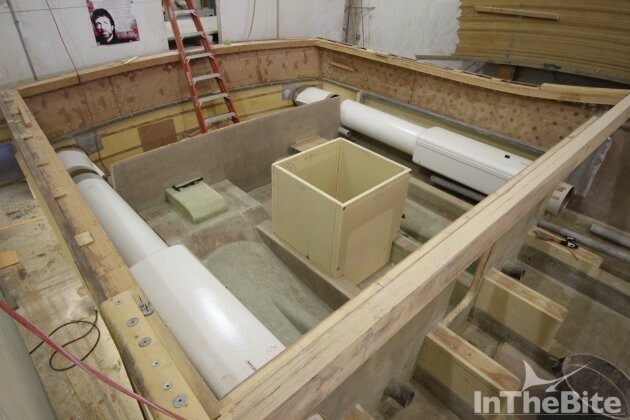 Courtesy of Bayliss Boatworks- Alot of progress has been made on Wave Paver in all areas, including the fabrication of the battery boxes, work in the machine tunnel, and construction in the engine room and pump room areas. We have begun fitting and installing the exhaust mufflers. 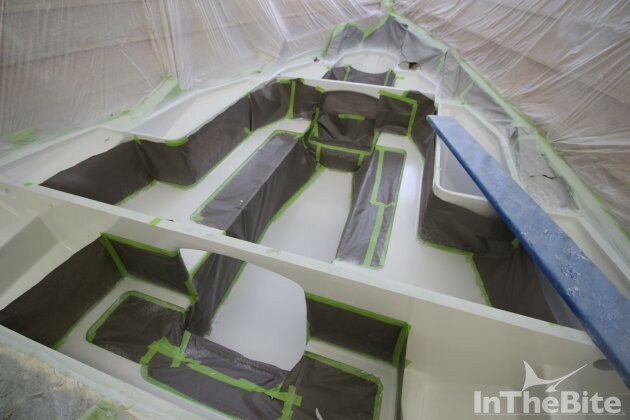 The lower salon deck is in finish primer and the pump room boxes are in Superprimer; the machine tunnel has been top coated. Over the next few weeks, we will continue work on the engine and pump room as well as in the exhaust system and lazzarette.